This switch is an industrial Gigabit managed Power over Ethernet Switch is designed with 24 10/100/1000M PoE+ ports and 4 10 Gigabit SFP+ slots for highly critical PoE applications such as real time IP video surveillance, WiMAX systems and Wireless APs. All of the 24 ports of the switch are compliant with both IEEE 802.3af PoE and IEEE 802.3at high power PoE standards and can deliver up to 15.4W and 30W power per port to enable the high-power requiring devices, such as Wireless Aps, PTZ and dome network cameras, etc. The switch equips with 4 10G SFP+ open slots as the uplink ports, the 10G uplink design provides an excellent solution for expanding your network from 1G to 10G. By 10G speed, this product provides high flexibility and high bandwidth connectivity to another 10G switch or the Servers, Workstations and other attached devices which support 10G interface. The user can also aggregate the 10G ports as Trunk group to enlarge the bandwidth. Ring network topology ensures the reliability of the connections among all the switches in the network. IGP-72404XM supports ERPSv2 with easy to set up user interface, which allows it to recover from network disconnection in less than 20ms with 250 IGP-72404XMs connected in a ring network topology while transmitting/receiving data at full network speed. Also, IGP-72404XM supports multiple ERPS instances, allowing different VLANs have their own ERPS instances. IGP-72404XM comes with a USB port for connecting a USB storage device to the industrial switch. Configuration files, switch system log and firmware can be stored in the USB storage device for the switch to access. When a USB storage device is connected to IGP-72404XM, it will load the configuration file in the storage device and apply all the settings, saving on-site installation time and effort. 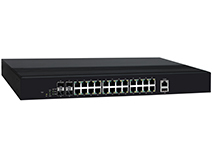 This switch provides various network control and security features to ensure the reliable and secure network connection. To optimize the industrial network environment the switch supports advanced network features, such as Tag VLAN, IGMP Snooping, Quality of Service (QoS), Link Aggregation Control Protocol (LACP), Rate Control, etc. The PoE switch can be smartly configured through Web Browser, SNMP Telnet and RS-232 local console with its command like interface. The failure notifications are sent through e-mail, SNMP trap, Local/Remote system log, multiple event alarm relay. Patek Philippe and Rolex consistently appear to apperception if top dollar watches appear up in conversation. Examples that were beat alone on break and in excellent or abutting to excellent condition, of course, accompany the a lot of money. Watches with provenance--examples endemic by celebrities or rolex replica fabricated especially for acclaimed individuals--always accept added amount if replica watches uk they appear with adapted documentation.With that said, in her book Vintage Wristwatches (Krause Publications), above Antiques Roadshow adjudicator Reyne Haynes (who now goes by the name Reyne Hirsch) credibility out, "Much like affairs a rolex replica watches monogrammed section of argent collectors generally don't wish anyone else's name, business affiliation, marriage anniversary, etc.